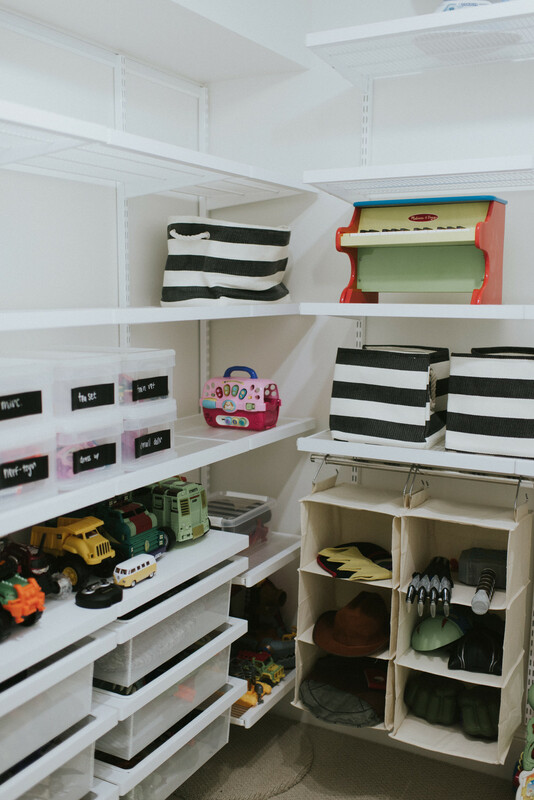 I'm so excited to share my kids' new and improved play room closet with all of you! 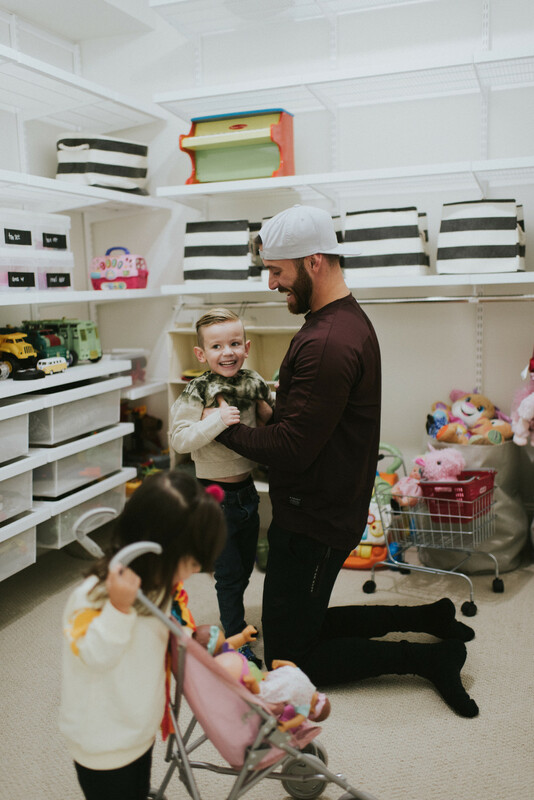 My kids and I love to spend hours playing in their new playroom! Honestly, the space has become one of my favorite areas, too. Before the makeover, the space was a standard rod and two shelves, and there wasn't much organization in the layout of the space. Needless to say, we were ecstatic to work with The Container Store on the redesign of this space. 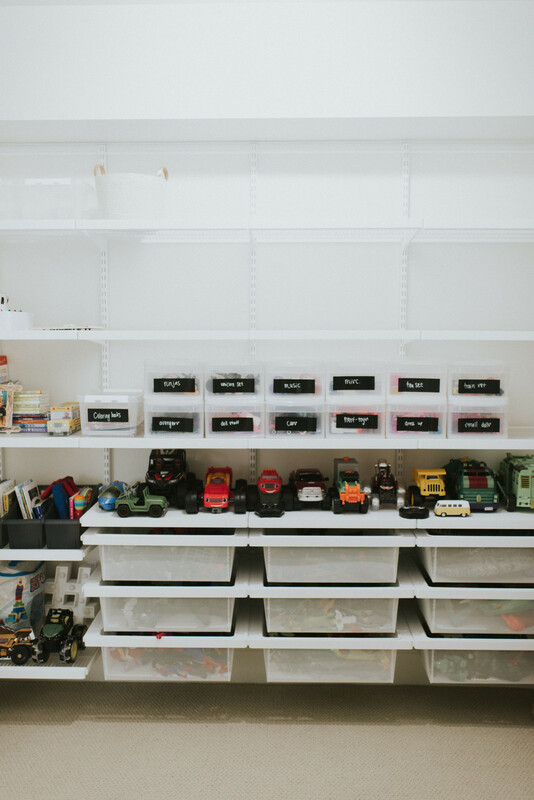 When designing this closet, it was important to create a fully functional, organized space that was also easy for the kids to use. After we learned Elfa components and solutions are completely customizable, and adjustable, we decided to move forward with the design. Not to mention, both Elfa AND Elfa Installation are 30% off until February 26th! We wanted drawers at the bottom of the solution so the kids could easily access their toys. Shelves were added to the space to store baskets and bins full of various items. 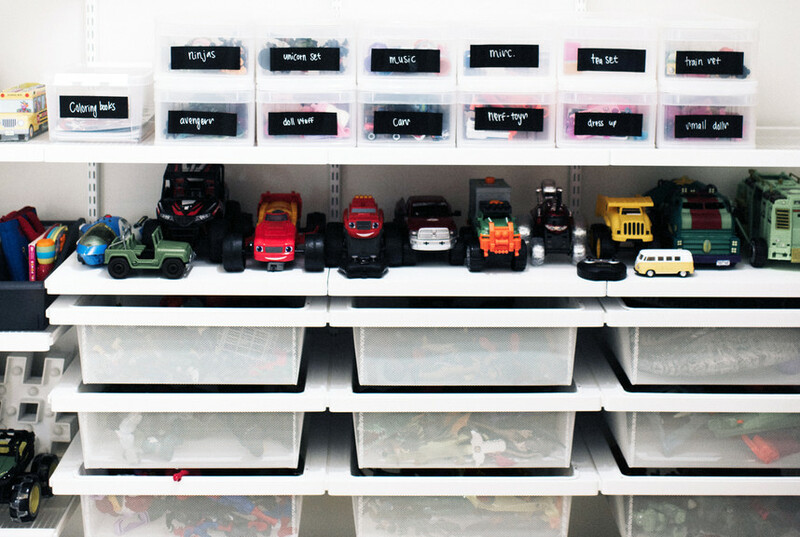 I used small tint stacking drawers above the drawers so the kids could actually see what's inside each drawer. Rectangular Chalkboard Labels were also added to each small drawer help ensure items are returned to their proper place. 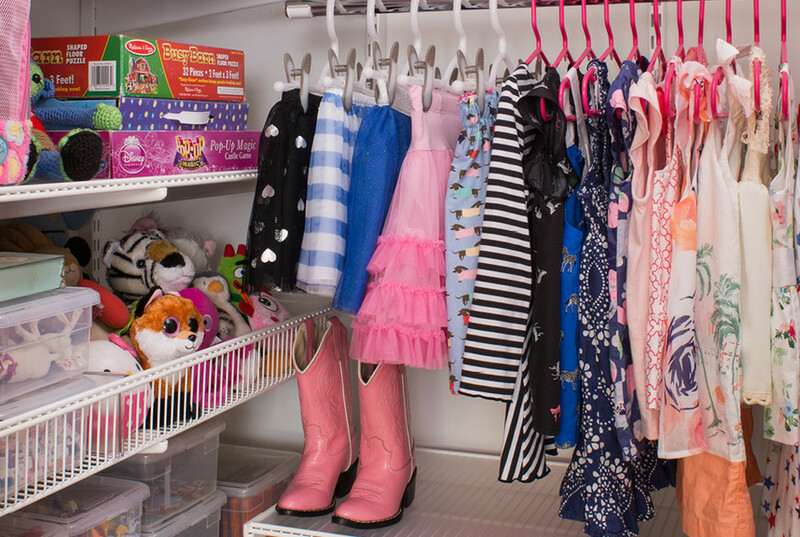 Finally, we installed a hanging rod for dress-up clothes. We never realized how big this closet was until we installed our Elfa. We love it! It was important for us to design the closet so our family would be able to grow into it. We know we definitely want more kids, so the extra space will be nice as we continue to add more littles to our family. I truly can't wait for all the memories our family is going to share together in this space. Truman and Tatum love easily finding what they want to play with. It's easy for them to put everything away since everything finally has a designated spot. This has been a great way to teach them how to pull things out one at a time, and how to put toys back where they actually go! 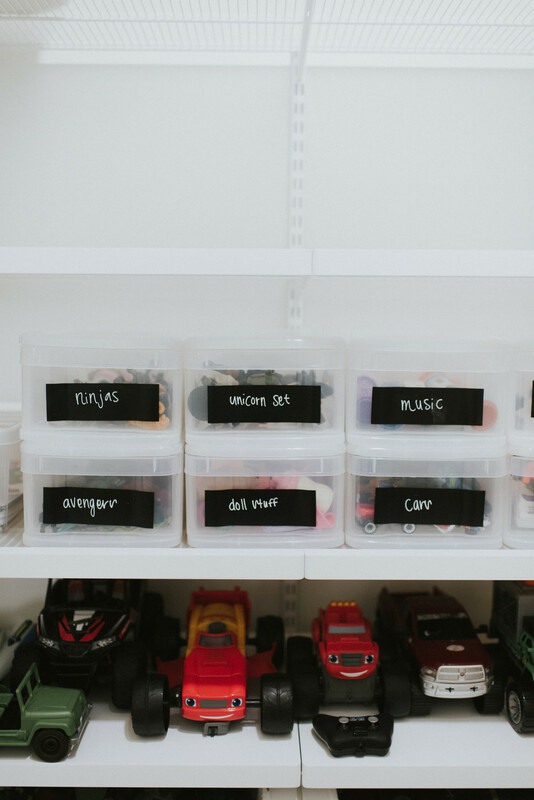 We keep most of their toys, books, puzzles, coloring books, craft supplies, in this space. So it's very important everything is returned to its proper spot. 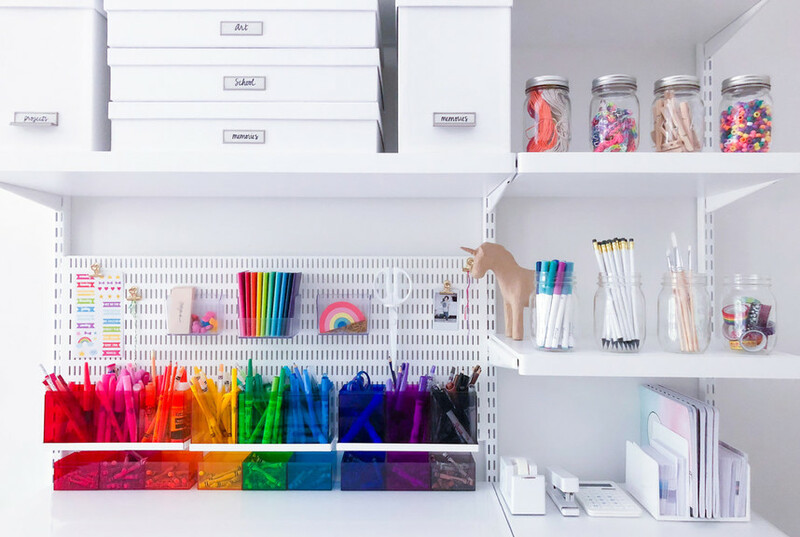 If you are in need of anything when it comes to home organization, I recommend looking no further than The Container Store. The Elfa system is awesome for all kinds of spaces - not just closets. Plus, it can be customized to fit your EXACT needs & space. You'll be absolutely amazed at all the possibilities you can create with it! Click here to see all the ways the Elfa system can be used! Hurry because Elfa is currently 30% off until February 26th! Don't forget to head to my Blog for more tips, tricks and makeovers. Or, click here to follow me on Instagram.